All three Hamilton County Commissioners are optimistic about Governor John Kasich's proposed state budget. Republicans Chris Monzel and Greg Hartmann call the plan bold and filled with a lot of changes that could affect county government. Hartmann adds the proposed budget has the potential to be revolutionary. Democrat Todd Portune agrees. He especially likes the plans for Medicaid. 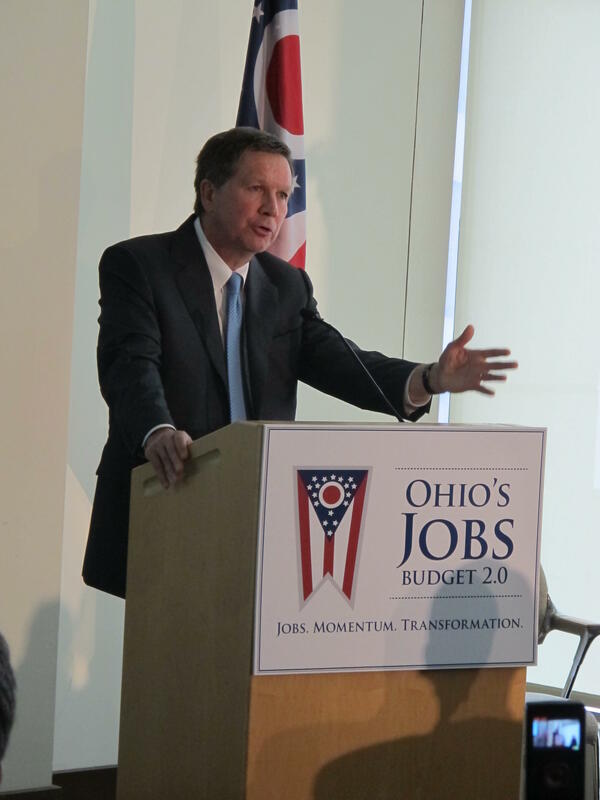 Governor John Kasich is proposing a major SHIFT in Ohio’s tax structure. Under his plan, just released, billions of extra dollars would flow IN from an expanded sales tax…but that would be more than offset by an even bigger LOWERING of the state INCOME tax. Statehouse correspondent Bill Cohen helps us sort out the ups and downs in this report. Governor John Kasich is pushing a 1.4 billion dollar net tax cut for Ohioans over the next 3 years, a move he says would attract more companies and their jobs. It would come in the form of a huge cut in the graduated state INCOME tax. But, at the same time, a reduced 5 per cent state SALES tax would be applied to many services that are now UN-taxed. Statehouse correspondent Bill Cohen reports on who would pay MORE for that. Governor Kasich’s proposed two year state budget proposes expanding the Medicaid system. The move pleases many on the left who’ve been pushing for the expansion to allow more people to be covered under the Affordable Care Act. But it’s being met with criticism from some conservatives. Ohio Public Radio’s Jo Ingles reports. Governor Kasich’s newly proposed two year state budget would make some changes in Ohio’s prisons meant to hold down costs. But as Ohio Public Radio’s Jo Ingles reports, the union representing prison guards say those changes would cost more in the long run and could even cost lives.